NEW DELHI, FEBRUARY 12: IIT Delhi will be hiring foreign faculty to address the need of the students and for a better position in the World University Rankings. IIT Delhi has been recognised by the government of India as one of the six eminent institutions. Speaking to careers360, Prof. Sanjeev Sanghi, Dean, Alumni Affairs & International Programs, IIT Delhi said “Now we can recruit non-Indians as faculty in IIT Delhi and these recruitments will be for a five year contract and they will get the salaries at par with what the Indian professors get”, adding “the criteria is the same what we have with our professors, it is the same like first the application goes to the department. The department professors will look at it. Then they recommend the one who they feel is good and then there is an interview of that person with the selection committee and only if the selection committee chooses will the person be selected”. The initiative taken after the Indian government waived off all security clearance allowing universities to hire foreigners without the clearance from the Ministry of Home Affairs (MHA) and the Ministry of External Affairs (MEA) late last year. The institute also launched the International PhD fellowship program (IPFP) in presence of ambassadors of various countries. 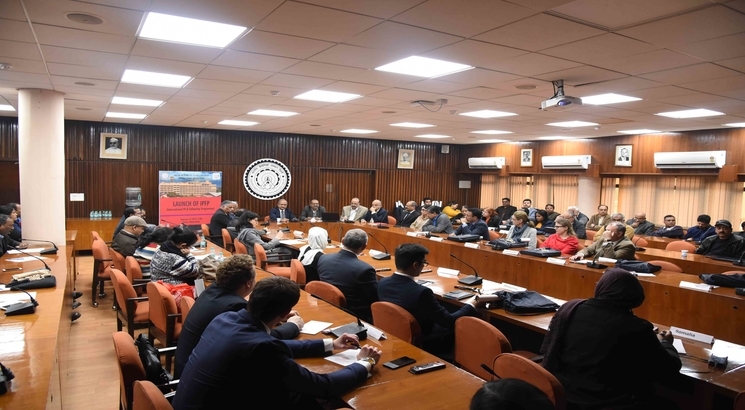 Laid down after considerable deliberations, the attractive features of the International PhD Fellowship Programme are expected to bring about significant increase in the number of meritorious International students on IITD Campus. Candidates holding foreign passports (including persons with OCI and PIO cards) will be eligible to apply under this scheme. Foreign students can apply for PhD in 28 academic units at IITD. This includes: Applied Mechanics, Atmospheric Sciences, Biochemical Engineering and Biotechnology, Biological Sciences, Biomedical Engineering, Chemical Engineering, Civil engineering, Computer Science and Engineering, Design, Electrical Engineering, Information Technology, Public Policy etc.